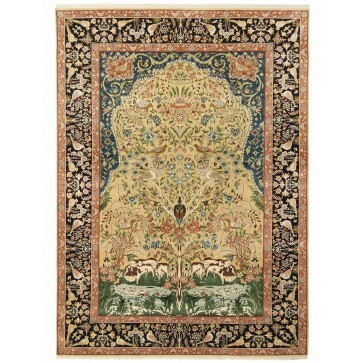 A tree of life design carpet based on a 19th Century original from Tabriz, with pure silk pile hand woven on a cotton foundation to 256 knots per square inch. 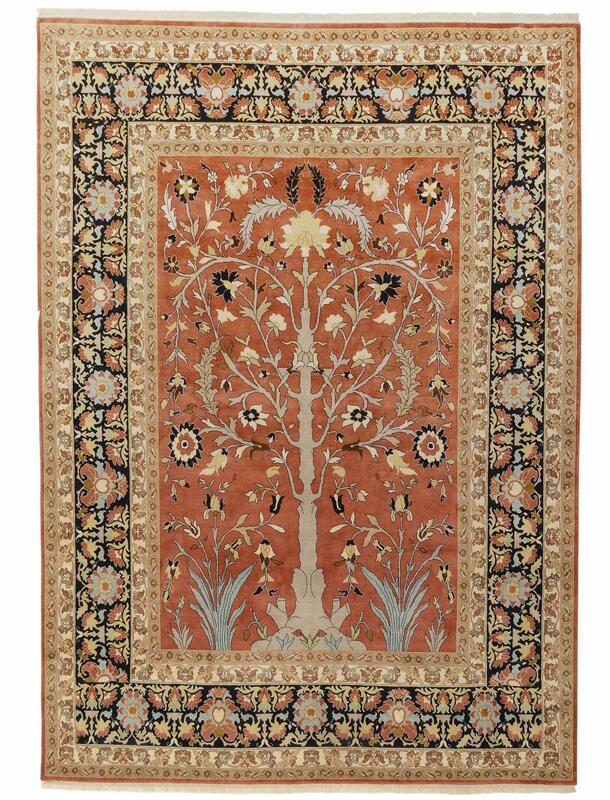 A tree of life design carpet based on a 19th Century original from Tabriz, with pure silk pile hand woven on a cotton foundation to 256 knots per square inch. 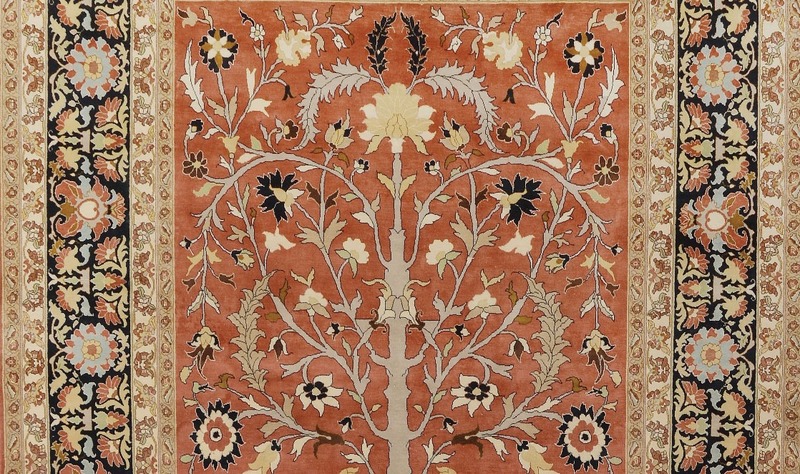 The tree of life as a central motif finds expression in many weaving areas of the Orient. 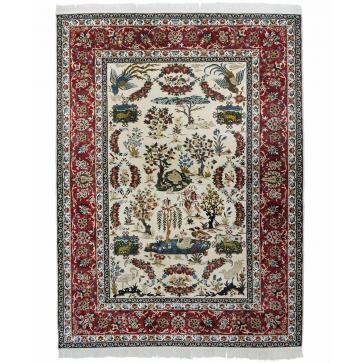 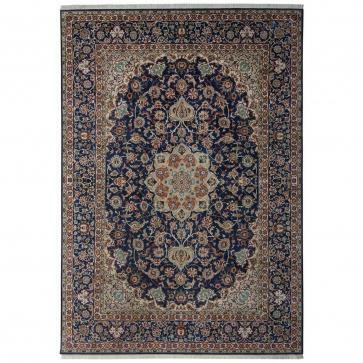 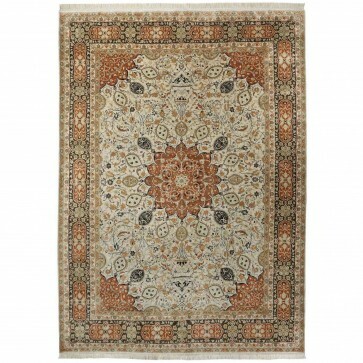 In this particular rare Tabriz design, the artist makes the trunk into the basis of the most diverse floral pattern and places two naturalistically conceived lilies at the sides. 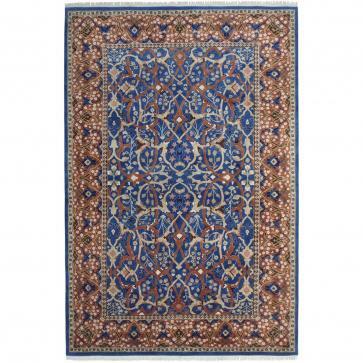 The dominating border with its dense, modified Herati design contrasts harmoniously with the red field. 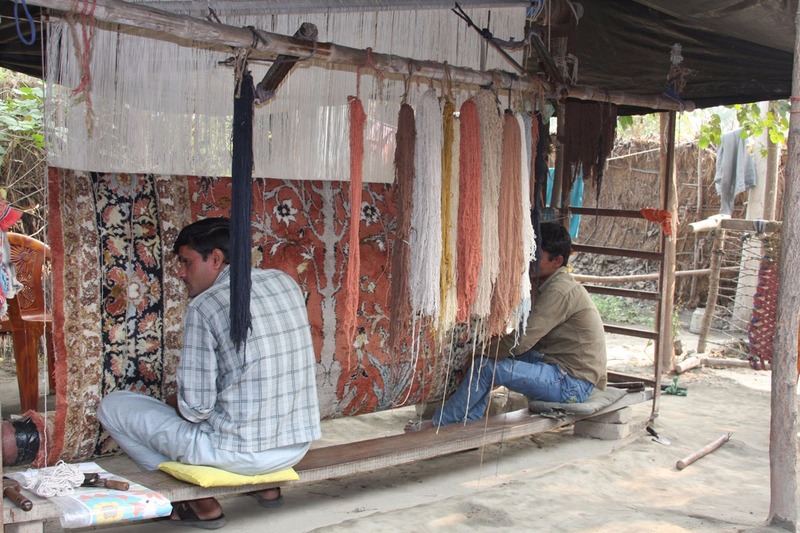 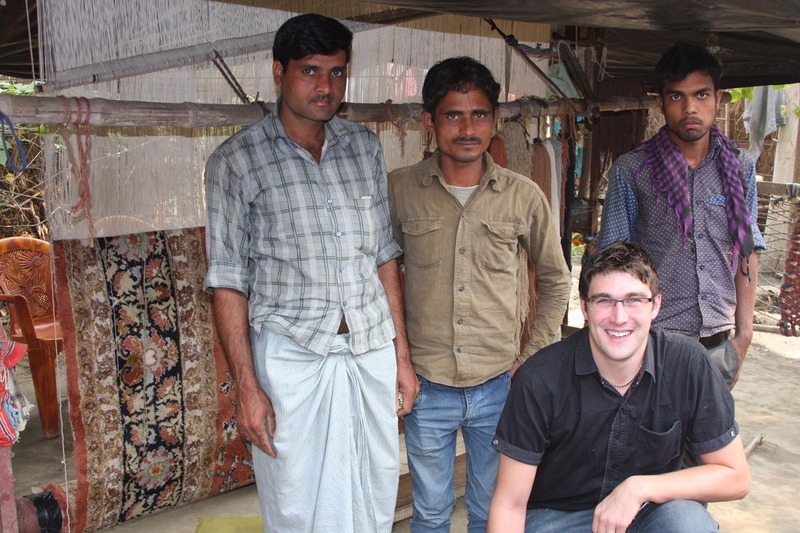 This carpet has taken approximately 7 to 8 months of man-hours to weave.